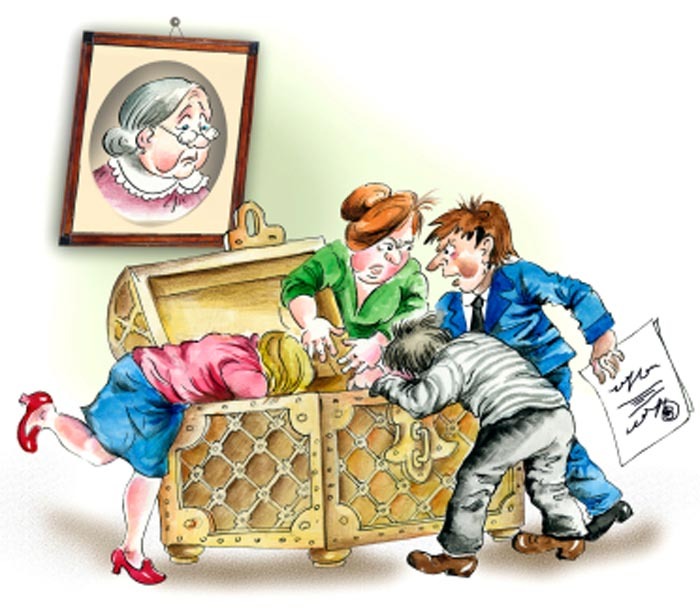 Dying Intestate: Do You Need a Will? So everyone is pestering you to write a will. They’re telling you that you’ll regret it if you fail to do at least that one thing before you die. Your family will lose everything, the state will take a boatload of taxes, and everyone will be mad at you for making a mess of your legacy. You don’t want any of that, but that has to be an exaggeration, right? So do you need a will? Yes and no. One hundred and twenty million adult Americans have not prepared estate documentation and more than one million individuals each year die without a will. In the event that something were to happen to any of them life will go on for their families. In a sense you are born with a will. A will is really a set of default instructions that will be followed to distribute any estate where a person did not make his or her own instructions. Ultimately it’s pretty simple. With a will, you will have control over what happens to your assets when you die. If you die intestate, meaning without a will, a state court will provide the instructions of the disposition of you assets. The court does this in accordance with certain guidelines. If you do not have your own will, those guidelines become your de facto will. In the event that you were to die with a will, a judge will appoint a family member to inventory all your estate and all of your assets, and make a list of all property with a title (including offsets for estate related costs and expenses). Depending on the method of title, the inventory designee will place assets with automatic inheritance rights onto one list, which will automatically transfer to the named beneficiaries. All remaining property will be distributed according to the state law of intestacy, which means they go to whomever the state decides, not who you decide gets them. In most state laws of intestacy, probate assets are divided among your surviving spouse and your natural children, without any regard to stepchildren, or ex-wives or anyone else. If there is no surviving spouse or children, then assets will go to the next of kin. If there are no surviving successors, everything may end up going to the state. The inventory will also include as complete a list of untitled property, including your electronics, jewelry, furniture, cash, art, and everything the person doing the inventory can find. Keep in mind, if it’s open and available to the family member, it will be listed. If it’s hidden somewhere, or it’s located in an online account that only you know about, consider it lost forever. Once the inventory is complete, the court-appointed estate representative – usually a surviving spouse or the oldest surviving adult child – will essentially serve the same role as an executor, and will determine how the assets in your inventory will be distributed. While the state’s order of asset distribution may or may not be satisfactory to you, many real problems happen with non-financial decisions such as child welfare, tangible property, general instructions, pets and other non-financial factors that a court will end up being required to determine. It is in this case in particular where fierce conflict could (and often does) occur, oftentimes with unsatisfactory results for all involved. Once again – of course not. Nobody needs a trust. This is proven by the numbers – while most Americans do not have a will, even fewer have a trust. A trust is a property ownership vehicle. It is used to hold and manage something like money, or maybe property or something like that. In a sense, a trust is sort of like a friend who is doing you a favor – keeping an eye on some things for you for a while. Unlike a will, however, a trust can be created as part of the estate process (meaning that the court can do it after you have died). For instance, if money is left to a child, a court would most likely create a trust and place the proceeds into the trust until the child reached a certain age. You can even ask for a trust to be created as part of your will. One of the most common comments received from families who explain why they have not completed a will is because they were not prepared to create a trust. Trusts tend to cost more money to prepare because they can be quite personalized and complex. No big deal. Get the will done first so that the core decisions are made. Shouldn’t You Do This, and Not the State? Well that’s up to you. Many individuals make a knowing decision to die intestate. Our perspective is that it can be inexpensive to prepare a will (you can even do it yourself if you take care in the basic details). In many cases preparing a will can make things easier and less expensive for everyone involved. In other cases, that may not be the case, particularly if assets are moved directly (outside of probate) (we’ll have plenty of articles on that as well). One thing is clear; too many families have been damaged through procrastination. If you decide to not prepare a will, make that decision intentionally and considered. Planning your own legacy and estate is one of the most precious rights that you have. All we encourage is that you make an intentional and knowing decision for you and your family rather than face the ramifications of having waited too long.